I love burgers. 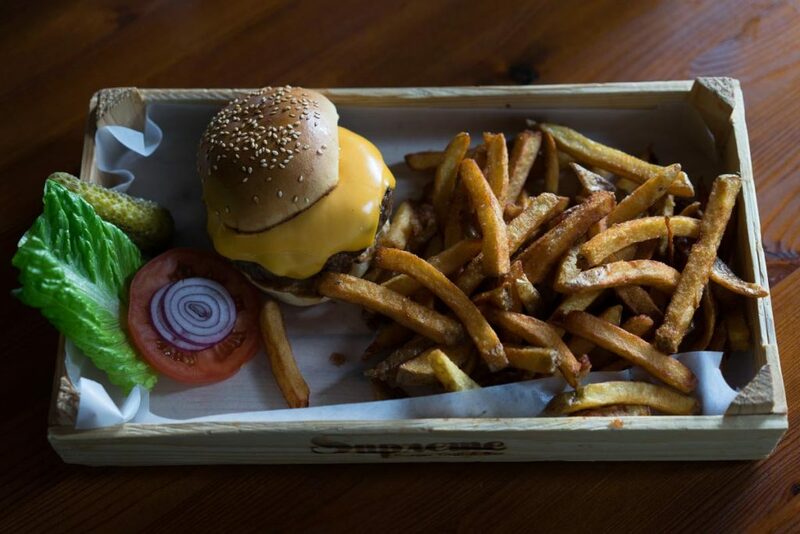 You probably love burgers since you’re reading this. Hell, who doesn’t love burgers? When I first came to Berlin in 2006 you went to eat a burger at The Bird or Burgermeister. Or you settled for a dirty version at an Imbiss or one of the evil chains from across the big pond. During the last 2 years Berlin has been carpet-bombed with new burger joints from East to West. Times have changed. 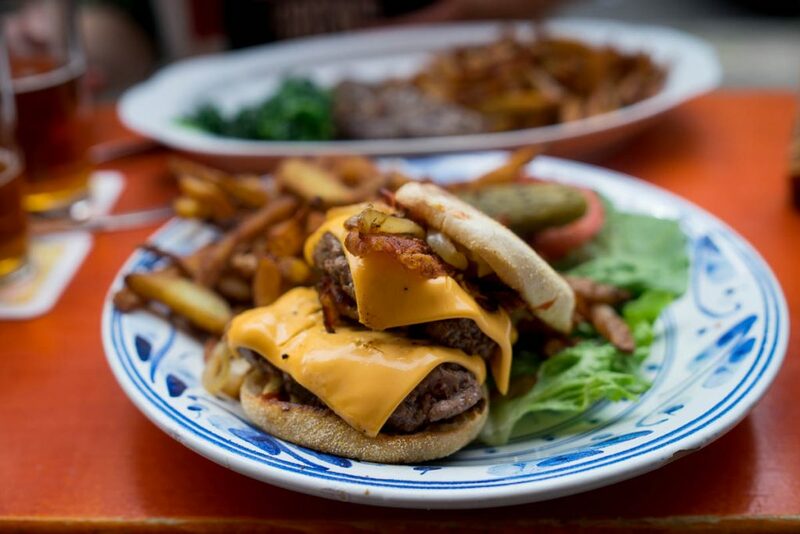 We imported the burger hype straight from our big brothers New York, London and Paris and it hit us like a ton of bricks. 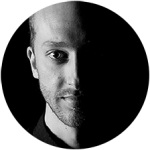 During the last 2 years Berlin has been carpet-bombed with new burger joints from East to West and the event series Burgers & Hip Hop regularly attracts thousands of guests who love to devour one or two burgers before they get sweaty with the high school kids on the dancefloor. 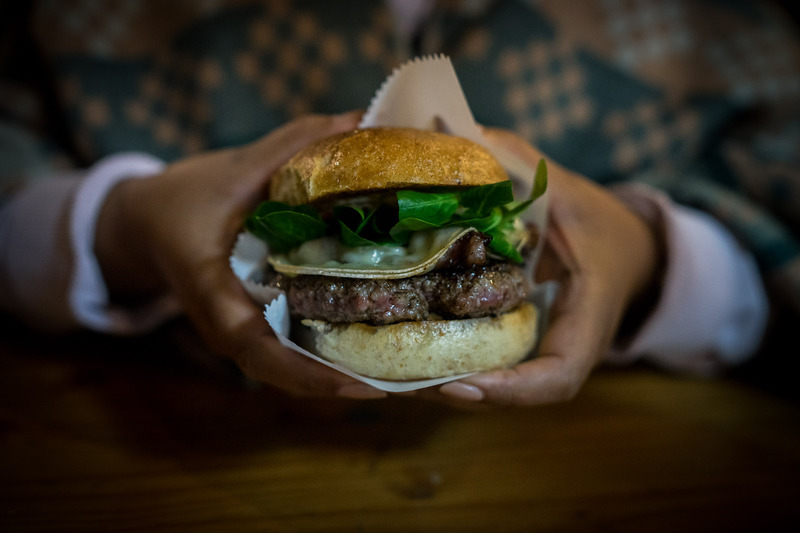 During this process the bar for what can be considered as a great burger in Berlin has been raised considerably and I finally feel like there are ten great burgers that I can call the best burgers of Berlin. But if there is one thing I’ve learned throughout the years of eating and writing about burgers in Berlin, then it’s the great amount of subjectiveness that surrounds the topic. We all have very set preferences on what a great burger is. Some put a lot of emphasis on the quality and size of the meat patty, others focus on the squishiness of the bread. Some love their burgers plain and simple, others love funky creations and enjoy as many ingredients as possible on theirs. To understand this list, you must understand my preferences. I’m a simple person that enjoys a simple burger. My theory is that this comes from consuming as much food as I do. My ideal burger has a quality, medium thick patty made from coarsely ground, dry aged beef with a high fat content, served in a brioche or potato bun with the condiments American cheese (yes, the wrapped slices), ketchup, mustard (or a similar, acidic sauce), pickles and onions. Sometimes salad. Bacon is nice but not a must. This is fairly close to the preferences David Chang’s expresses in his famous burger manifesto (highly recommended read), except that I enjoy a few more ingredients. But our base philosophy is the same, a great burger is about the quality of a few, selected ingredients and doesn’t need a ton of condiments that takes away focus from the essential meat-bread action. 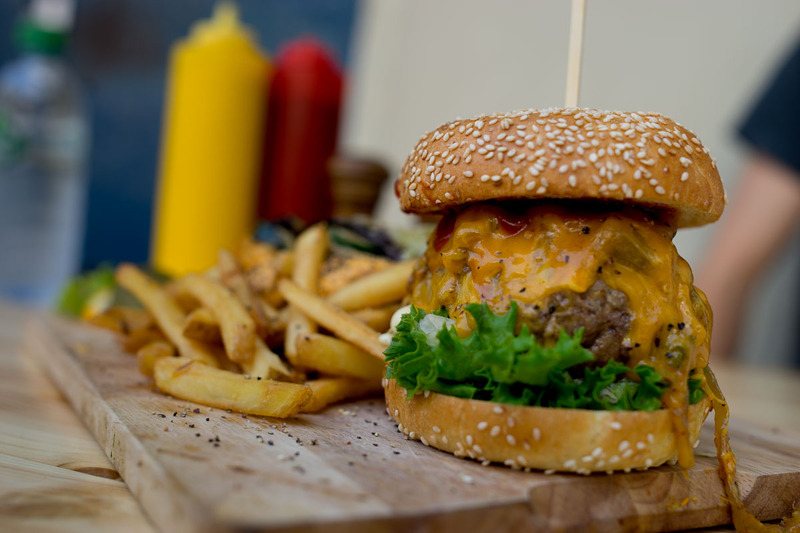 A burger also needs to be a dish that can be consumed by hand and that holds its form and texture until the last bite. I don’t want to have to take a shower after I’ve eaten your burger. This also means that this list only review burgers with meat patties made from ground beef. No pulled pork, chicken, tofu or veggie burgers. That’s really a whole different thing and in my world these categories shouldn’t be compared to each other. For the first time I’ve also chosen to include a couple of burger places in the bottom that didn’t make it to the top ten but which still were considered. Just to illustrate exactly why your favourite burger place didn’t make it to the list. 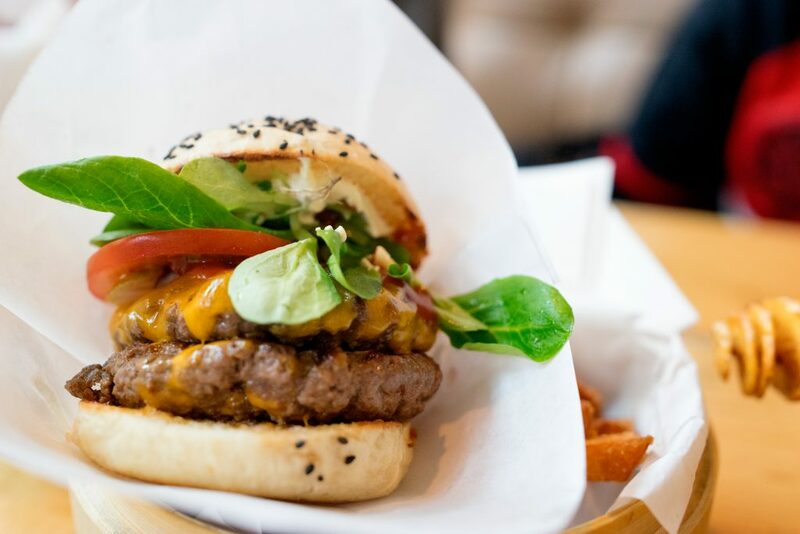 Without further ado, I give you the ten very best burgers in Berlin right now. This place has all the characteristics of a burger place that shouldn’t be on any of my lists. 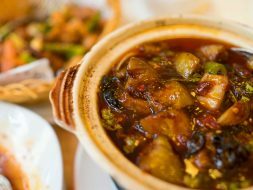 It’s located on Oranienburger Straße next to all the Indian tourist traps, it seats at least 100 people, it looks just like the other tourist traps and it just doesn’t come across as a place that puts a lot of love into the food. But, believe it or not, this place serves a very solid and simple burger. Order the cheeseburger and you’ll get a small and nifty burger (as in no too huge), grilled medium with proper, American cheese and the condiments onions, tomatoes, salad, pickles and ketchup on the side. Honest, straightforward and just tasty. All you need. Burger de Ville used to operate a slick food truck from a couple of locations, first outside the Bikini construction site on Kudamm and then at Checkpoint Charlie. Nowadays Burger De Ville has found a permanent home for their very solid burgers in a courtyard behind Kranzler Eck. Quality varies a bit in this huge burger restaurant, but on a good day the thin patty in the potato bun with emmentaler cheese, lollo bionda salad, tomatoes, red onions, pickles and a homemade mayo-based sauce sums up to a great, thin burger. 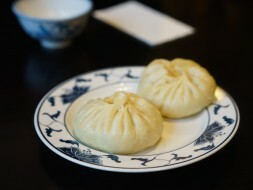 Especially the toasted potato bun, the thin meat and the sauce work very well together. This Amsterdam burger joint just opened the doors of its extravagant venue on Kantstraße during the summer of 2016. “Prime Aberdeen Angus” beef, lettuce, tomato, pickle, grilled onion & Dutch Edamer cheese are the ingredients of “The Butcher with cheese” and they work very well together. 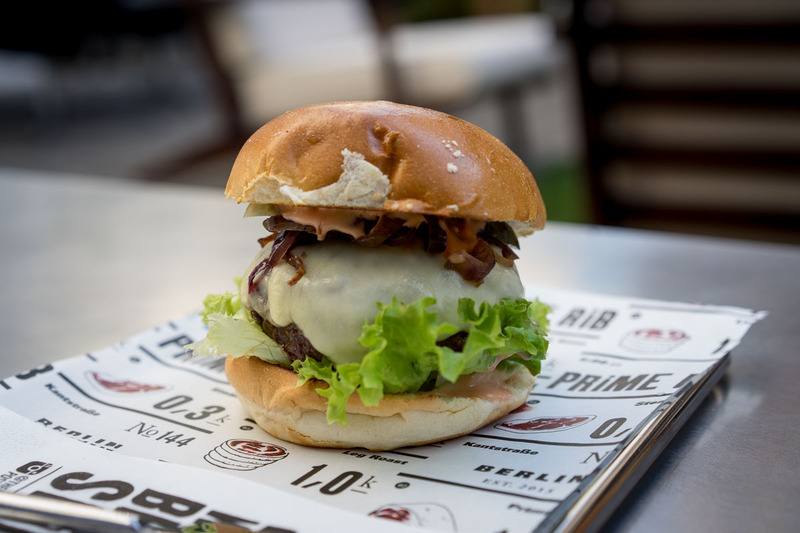 The juicy, meaty and delicious patty meets a solid, squishy bread in this combination and the fresh and tasty condiments make this a very welcome addition to the Berlin burger scene. The most German iconic burger joint in Berlin is must on this list. 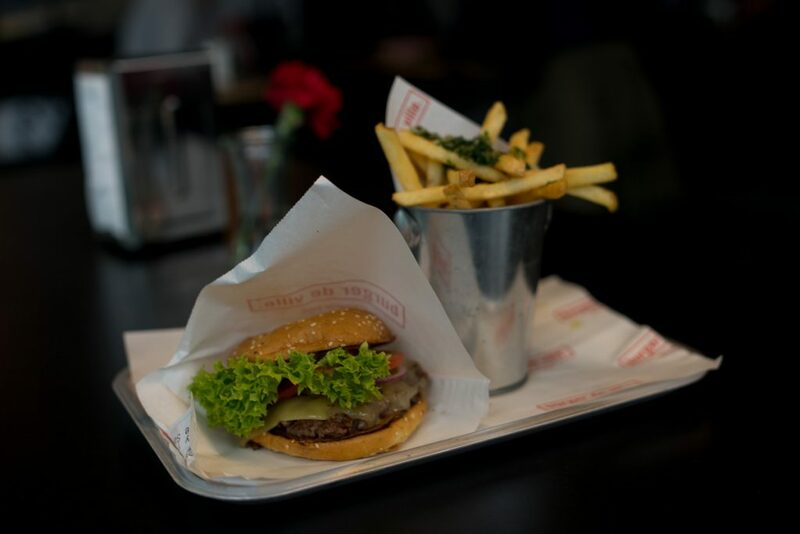 Originally located in an old toilet booth under the subway at Schlesiches Tor with a constant line of hungry diners, Burgermeister delivers a pretty great and no-fuss burger, you can now enjoy this iconic burger at their second location on Kottbusser Tor. This burger is definitely not a gourmet burger with its thin and not too juicy patty, the perfectly soft and chewy bun and all the classic components. You have to go for the “Meisterburger” with caramelised onions, bacon, BBQ sauce and mustard you avoid the pretty nasty mayo-based sauces, otherwise the experience will be spoiled by the sauce. 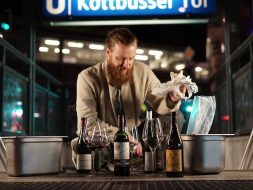 Having the crew at Berlin’s best artisanal butcher Kumpel & Keule chuck something out of their storefront on the grill for you is an extraordinary experience and their burger counts to the best thing you can eat here. With a thin patty made from trimmings of their dry-aged beef, a custom baked bun by Sironi, German Deichkäse, bacon smoked in the Big Stuff smoker and some marché salad topped of with their own, mayo-based burger sauce, this German bad boy wants to play with the big boys. I like this burger a lot, and along with the #1 burger on this list it’s probably the burger in Berlin made from the highest quality ingredients. The only thing that keeps it from ranking higher is the bun, sauce and cheese – these three things are just too unorthodox and add a flair of German sausage sandwich to the whole experience. 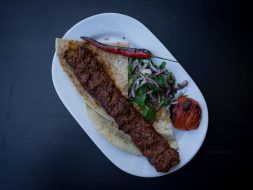 A must try if you’re in the Markthalle Neun. Even in 2016 there can be no burger list in Berlin without the iconic ‘The Bird‘ in Prenzlauer Berg. The success story continues and after all these years I think the quality of the meat, made from coarsely ground pieces of dry-aged U.S. beef, is still some of the best in all of Berlin. My favourite, The “Ghetto Deluxe”, comes with plenty of American cheese, lettuce, tomato, onions and a pickle on the side. As much as I love the burger meat at The Bird, I’ve never grown to like their English breakfast muffin burger buns. For me, these buns don’t work as a burger bun and especially with these massive patties you’ll end up eating your burger with knife and fork. 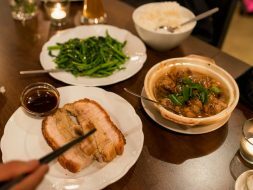 Nowadays the empire of The Bird has expanded to Kreuzberg and Mitte and it’s imperative to keep in mind that this review only applies to the flagship in Prenzlauer Berg, I’ve had terrible meals at the other places. As unlikely as it may sound, Berlin actually can boast of having an Asian burger joint that’s pretty damn spectacular. Shiso Burger is run by a gang of cool Vietnamese kids and their cheeseburger comes on a white rice-wheat bun with cheddar cheese, lettuce, tomato, pickle, red onion, mayo and ketchup. Add three euros and you get a Wagyu upgrade, a step not really worth it, especially since the original burger is so damn good. The ingredients are very light and the size of the burger is very palatable and the whole thing works extremely well in terms of texture and flavour. 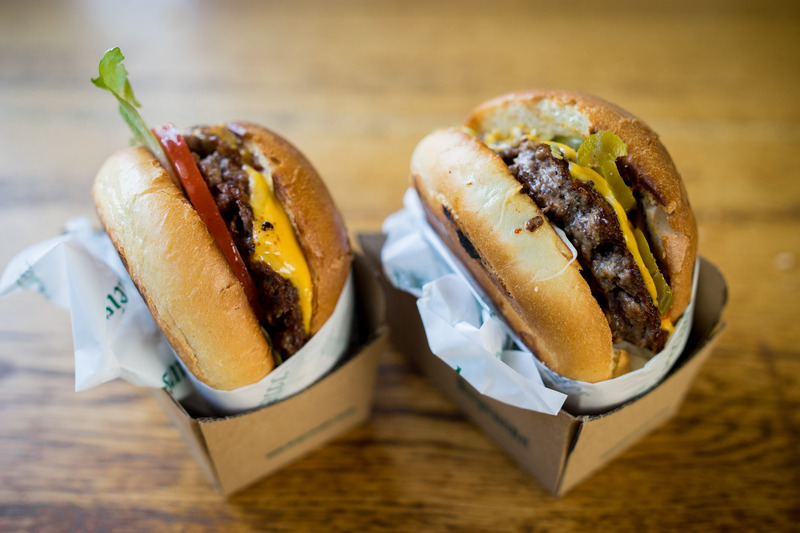 Ultimate life hack: Ordering double patties. The iconic, high quality burger joint from the mythical country of Iceland. Despite the fact that Tommi‘s nowadays is a franchised chain of notable size, the Berlin burgers are still damn delicious. Every joint operates autonomously and has their own little twist on the Tommi burger. The burger is very straightforward and consists out of a rather thick beef pattie in a squishy bun with a salad leaf and a tomato. Any other condiments like sauces and pickles have to be added according to your preferences at the exorbitantly well equipped condiments bar. The Tommi’s burger is all about the enormusly delicious meat and, to a certain extent the bun as well, but with the addition of your own condiments a burger from Tommi’s sends you straight to Burger heaven. 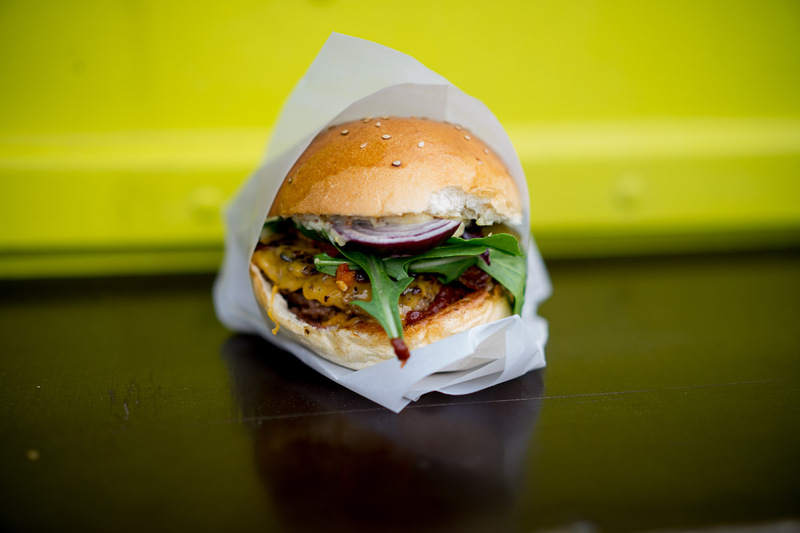 My very favourite burger and the best burger in Berlin comes from the food truck Buns Mobile. Once you’re lucky enough to spot it at one of Berlin’s street food events, the first thing on your agenda should be a Buns Mobile cheeseburger. Run by a French – Canadian couple who have plenty of experience thanks to their fine dining backgrounds, this burger sets the bar. Nobody uses better quality ingredients and nobody executes the burger better. At the core of this beautiful creation is a sublime beef patty with high fat content made from dry-aged Brandenburg beef that’s pretty much always cooked to pink perfection. The toppings do vary, but in the classic version you’ll get American cheese, homemade ketchup, homemade mustard mayo, red onion, homemade pickle slices and rucola salad. This is then packed into a freshly baked and pan-fried brioche bun and I can highly recommend finishing it off with a squeeze from their homemade hot sauce. Buns Mobile is the Berlin burger dream personified. Pacifico – Good patty, good brioche bun, general quality of ingredients leaves it out of the top ten. 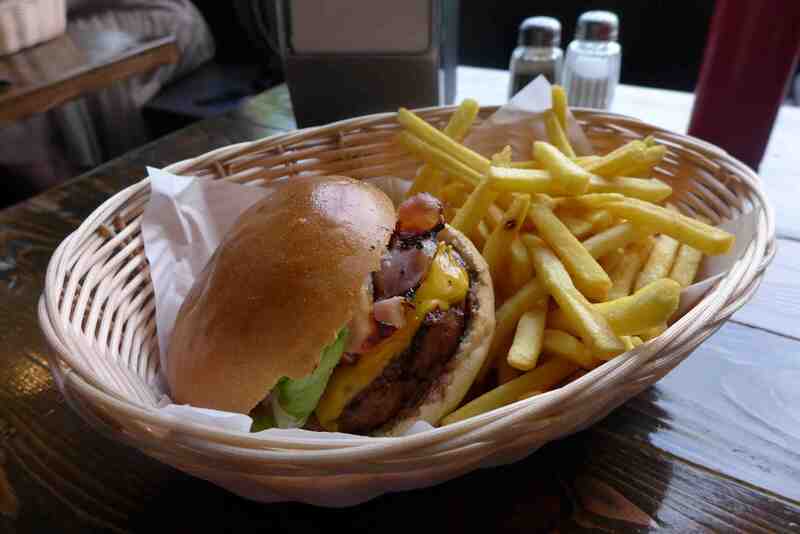 Yellow Burger – Lovely flavours, meat quality and condiments are not great, burgers tend to fall apart.